To find a path around antibiotic resistance, a team working with the Intrepid supercomputer at Argonne National Laboratory is simulating molecular binding interactions to rapidly vet new infection-fighting candidates. As word spread from India last year that common bacteria strains showed resistance to all known antibiotics, some officials feared that terrorists might find a way to weaponize those bacteria and trigger an epidemic. A later study revealed these bacteria were in virtually every modern country’s drinking water supply. Officials worried that if people picked up one of these bugs, became ill and tried taking antibiotics to recover, the bacteria could bypass any drug. To produce the first publicly available model of a potent enzyme that was making the bacteria into superbugs, groups from across the Department of Energy’s Argonne National Laboratory and collaborators at Texas A&M University plied the computational muscle of Intrepid, the lab’s IBM Blue Gene/P. Researchers focused on the bacterial enzyme NDM-1 (New Delhi Metallo-β-lactamase), which grabs a piece of the antibiotic beta-lactam ring, breaks it and renders the antibiotic useless. Analysis revealed the enzyme has an enormous and flexible active site, capable of gobbling the stout rings of existing antibiotics, including those of many powerful carbapenems, antibiotics of last resort. 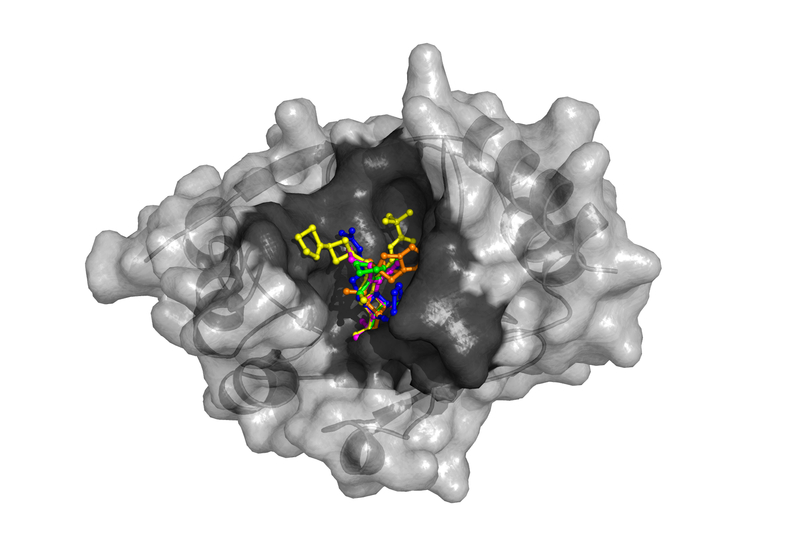 Decoding NDM-1 and quickly publishing their findings, the Argonne team documented the enzymes’ promiscuity and uncovered strategic flaws in existing antibiotic development strategies. “From our simulations it appears that NDM-1 is capable of processing much larger molecules, voiding the easy path” of modifying existing molecules “to breathe new life into old drugs,” says Andrew Binkowski, assistant scientist in Argonne’s biosciences division and a fellow at the University of Chicago’s Computation Institute.